Hello, friends welcome, if you need to download the latest versions Google Account Manager, so here we share all latest versions Google Account Manager, basically we share here all old to the latest versions google account manager, Oreo to jellybean, this file actually store your all the active Google ID on your devices and this file help you to Bypass frp, if you face frp lock issues or forget the Google Account password on your device. 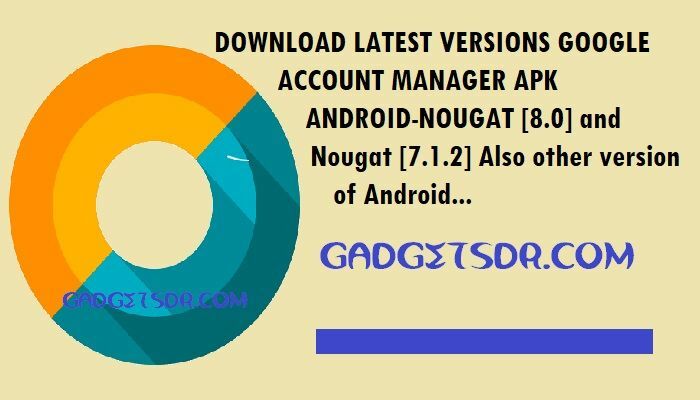 This is the list of all old to Latest version Google Account Manager you can download Google Account Manager according to your device Android OS version, makes sure you have downloaded the right Google Account Manager otherwise Google Account Manager will not work on your device. If you are getting this message “Type email and Password” error in the google account manager, then you have to download the google account manager to fix the error in “type error and password”. By download google account manager you can easily add a new Gmail ID through chrome browser and easily bypass frp problems from your device.